Bethany Hamilton's 'Go To' drink.. 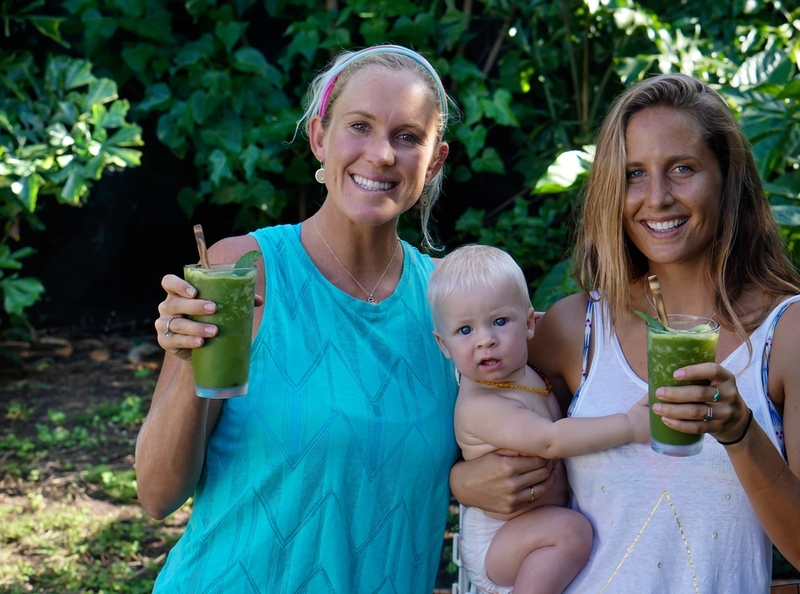 The "Salad Smoothie"
What do you drink to keep you fueled and ready to go when your life is full of surf , travel, action and motherhood and everything in between? Bethany says the SALAD SMOOTHIE- her family's current go to smoothie! This is the kind of drink you can basically feel alkalizing your body with the all the turmeric, ginger, mint and jam packed greens! Bethany and her beautiful little family were our neighbors this past week which was a lot of fun and the other day she shared with us one of her go to smoothies and it was awesome!! So of course I got to share it with you too. I don't think she needs an intro but for those of you that don't know her... she is a pro surfer, motivational speaker, mamma bear to this blue eyed heart breaker, wifey, a friend to everyone she meets, a huge health advocate and spends her energies promoting and encouraging all things good. Basically she is a super hero and there should be a action figure designed after her (if there isn't already.. ;). *Thanks for sharing and just being awesome doing you! Much love to you and your beautiful little family! Ultra easy salad smoothie bowl recipe, to keep you fueled and charged up for a long action packed day!